Gregory Peck And Audrey Hepburn. 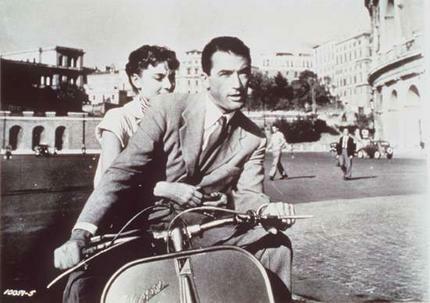 gregory peck and audrey hepburn classic film actors in roman holiday. Wallpaper and background images in the Classic Movies club tagged: gregory peck audrey hepburn actors classic film image photo. This Classic Movies photo might contain motorcycle cop, motorcycle policeman, speed cop, street, city scene, and urban setting. It's a gorgeous film ! I'd ride with him anytime! lol ! It looks a very thrilling ride too !